When Cristiano Ronaldo got signed by Real Madrid in the summer of 2009, his stats and numbers with Manchester United were already out of the chart. The 24-year old prodigious talent would then raise the bar even more right after he landed in the Spanish capital and as he now completes his 5th season playing for the Merengues, he has already become one of the greatest players to have ever worn a Real Madrid jersey. Over the last years, Ronaldo has broken record after record and even though he hasn't won as many titles as all of us would have liked, his contribution on the pitch has been immense. Let's now remember Ronaldo's best moments in Real Madrid from 2009 to 2013. 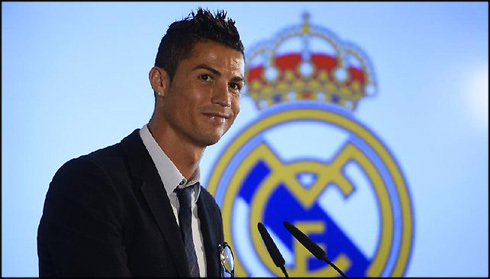 On 6 July 2009, Real Madrid presented the world most expensive player to the Santiago Bernabéu crowd. 85.000 Madridistas attended this historic event (another record). Real Madrid legend Alfredo Di Stefano presented Ronaldo with the number 9 shirt. He capped off this memorable event by hailing the Bernabéu. This transfer would prove to be a course-changer of Real Madrid's history – The birth of a new era. "Uno! Dos! Tres! Hala Madrid!" Real Madrid came into this match 3-2 down on aggregate. A humongous effort was needed to turn the tables around against Messi and his teammates. Real Madrid, as always, were unfazed by the challenge. They got off to a sensational start, pressing Barcelona in every opportunity they had. Los Blancos got their rewards when Gonzalo Higuain scored a goal from a Mascherano mistake. Then, magic happened. An aimless punt of the ball by Xabi Alonso was read well by CR7. He adjusted his body and coolly flicked the ball above Pique's head. The ball landed at the edge of the penalty area. Keeping his composure, he controlled the ball and bang! The power of the ball was too much for Victor Valdes. Real Madrid were 2-0 up! The Bernabéu went wild for the genius who made the impossible look easy. Ronaldo goals would prove to be crucial once again, as Real Madrid edged Barcelona on away goals to win the Spanish Super Cup. IV. European Golden Boot winner with 40 league goals. After seeing a 10-point lead being cut to a 4-point lead in a matter of 5 games, Real Madrid faced their derby rival. To put it simply, there has not been a worse time to do so. Dropping any more points and Real Madrid would face a likely scenario of losing the title to Barcelona. However, on that day, Ronaldo was in electrifying form. First, he scored an unbelievable free kick. Then, from a seemingly impossible distance, he netted a screamer. He sealed his sensation night with a perfectly-placed penalty and an assist for Callejon. A hero was needed on that night. The hero was CR7. Football achievements aside. 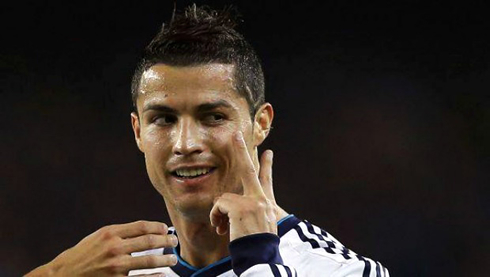 This match showed a side of CR7 which most of the footballing world has not seen before. 3-1 up, a passionate Madridista ran onto the pitch. Play was halted by the referee. The pitch invader's one and only target was Ronaldo. He hugged CR7 tightly and spoke a few words into his ear. When the pitch invader told the Portuguese star that he does not want to be brought away, CR7 hugged him even tighter. 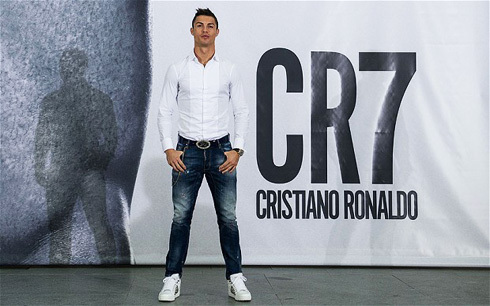 Not only did CR7 not reject him, but he embraced him. Ronaldo recognised his passion and love for Real Madrid and himself. It was a hugely touching moment that won the hearts of many. It was a class act that will be remembered for many years to come. Real Madrid were huge underdogs for this match. After all, Real Madrid were trashed 5-0 by Barcelona not so long ago. The pressure was huge on José Mourinho to deliver Real Madrid's first trophy in 3 seasons. All night long, Ronaldo bamboozled the Barcelona defense. He finally got what he deserved when a supreme cross by Angel Di María was delivered, after a great play down the right wing with Marcelo. CR7 rose highest to head home the only goal of the game in extra time. Real Madrid erupted as Barcelona's dominance had finally been broken. 4 seasons after signing for Real Madrid, CR7 was already staring at the face of an incredible record that many could never even think about. He was on 199 goals for Real Madrid. On this historic night, all the limelight was on CR7 to see if he could net his 200th. He duly delivered it by scoring a goal from an unusual free kick inside the penalty box. 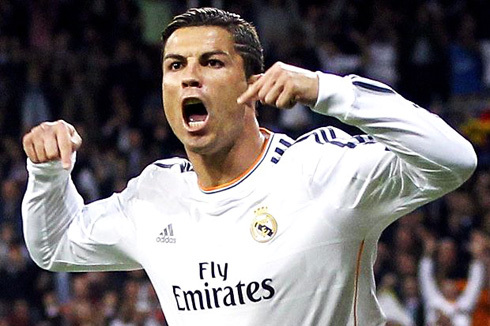 The celebration by CR7 was pretty muted by his standards, but the Bernabéu went crazy. They hailed him. This is King Cristiano! By the time Real Madrid came into the match against Mallorca, the Merengues were already champions of Spain. CR7 netted yet another historic goal by scoring against Mallorca, making him the only player to have scored against every La Liga team. Real Madrid ran out 4-1 winners and took the league title with 100 points. After 3 seasons in Spain, Ronaldo had finally won the Spanish League title. He probably deserved it more than any other player. The night belonged to him, as Real Madrid cheered under the Madrid skies. It was a memorable night for everyone. The moment where he walked out of the tunnel to receive glory will live long in the memories of most Madridistas. Real Madrid are indeed a fortunate club to have Cristiano Ronaldo on their books. The recent contract extension where he was made the highest paid player in the world showed how important he is to the success of the club. 5 more years of CR7, 5 more years of endless happiness! Cristiano Ronaldo next game for Real Madrid will be against Juventus for the UEFA Champions League, this Tuesday (November 5, 2013). You can watch Juventus live stream, Juventus vs Real Madrid live, Barcelona vs AC Milan live, Real Sociedad vs Manchester United live streaming and Manchester City vs CSKA, all matches provided from our live streaming section.